Detailed attention to compliance with labour and employment laws is crucial for success in setting up business in a foreign country. 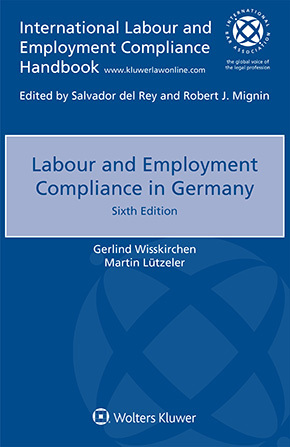 This book – one of a series derived from Kluwer’s matchless publication International Labour and Employment Compliance Handbook – focuses on the relevant laws and regulations in Germany. It is thoroughly practical in orientation. Employers and their counsel can be assured that it fulfills the need for accurate and detailed knowledge of laws in Germany on all aspects of employment, from recruiting to termination, working conditions, compensation and benefits to collective bargaining.